A substantial work lasting around 9 minutes commissioned for the Dillington Summer School and Guitar Festival 2000. Two lyrical and highly rhythmic outer sections surrounding a calmer, 'fugal' part. 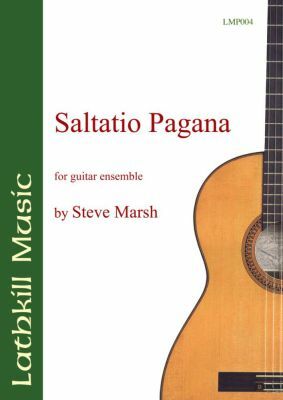 Scored for 6 guitars (with an optional seventh), requinto, bass and percussion. 40 pages with separate parts.